Summary: Conor O’Malley’s mother is dying of cancer. The treatments aren’t working but the adults around Conor-his mother, his grandmother, his visiting father from America, his teachers-allow his hopes to live. Each day he struggles in school against persecution by Harry, the bully, condescending pity from teachers and isolation from classmates. He tries to ignore the reality that he will probably have to go live with his brisk, no-nonsense grandmother in her spotlessly perfect house, that his divorced father will not take him. And every night he is awakened by a nightmare too horrible to remember. Then one night the old yew tree by the church in back of his house appears as a monster because, he says, Conor has called him. Conor wants the monster to heal his mother; the monster says he is here to heal Conor. And so he tells him three stories and says that Conor must tell the fourth. It is the scariest, most difficult challenge that Conor faces: he must speak the truth. Literary elements at work in the story: This is a work of art, an adaptation of an idea suggested by young adult author, Siobhan Dowd, before her early death. The yew tree is an ancient symbol of death and is part of both Druid and Celtic myth. It is extremely poisonous but its bark is the source of taxol, an experimental treatment for cancer. 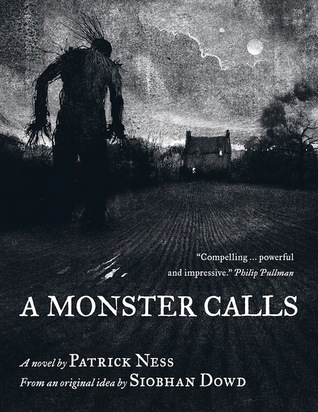 Patrick Ness takes Dowd’s idea and weaves it into a painful, sad, funny, wise tale told in spare, eloquent sentences and with brooding pen and ink drawings to bring an elemental monster to life. The monster says “Stories are the wildest things of all. Stories chase and bite and hunt.” It’s difficult to distinguish between Conor’s and the monster’s action. This story will linger long after the book is closed. Theological Conversation Partners: Guilt, anger, grief, death, punishment, forgiveness, truth-this novel, without referring specifically to theology at all, touches on almost every facet of the Christian life. A powerful monster outside of Conor is needed to enable him to face himself and his mother’s death. The Christian faith offers answers, resources, ministry for each of these needs and conditions which the story so poignantly presents. And it offers power and strength beyond ourselves. John 1:8-9, for example, speaks of the need for confession and truth, of the promise of forgiveness and restoration. See Psalm 32 as an example of a prayer of confession. The strength Conor needs is ours in Christ’s promise to be with us always (Matt. 26:20b) or in the 23rd Psalm. The Psalms offer eloquent words to express grief and the joy of restoration (Psalm 22:1,Psalm 86:1-7) . Has someone that you love died? Do you recognize any of Conor’s feelings and experiences? Is this a good description of the experience of grief? The monster compels Conor to tell the truth about his nightmare, implying that there are serious consequences if he refuses. What is difficult about telling the truth-about events, feelings, ideas? And why is it so important? Most Christian churches have a prayer of confession in their worship and we are called to confess out sins to God. How is confession like telling the truth? What is the relation between the truth we tell and Christ who is the Truth? Why does Conor feel the need for punishment? What is the Christian answer to this feeling? In 1 Corinthians 15:20-26 Paul affirms the resurrection and Christ’s victory over death. How does this change the Christian experience of death? The monster says that stories “chase and bite and hunt.” Jesus frequently used stories to teach. Recall some parables Jesus told that would have made his hearers uncomfortable, puzzled, or even angry. A Monster Calls by Storypath is licensed under a Creative Commons Attribution-NonCommercial 4.0 International License.